Click/tap here to find the best Oklahoma home remodeler for your needs! Want your bathroom renovations to not only delight you but amaze your friends, neighbors and guests? We offer astounding transformations for your bathroom. We promise a stylish and comfortable design for your bathroom that fits your budget and design needs. We are qualified to handle any bathroom renovation job no matter how big or small. Whether you are looking to just install a walk-in bathtub, or completely remodel the entire bathroom, we can help. We will help you complete the task at hand with utmost professionalism and efficiency. Our bathroom remodeling professionals are clean, on time and on budget. Call us to schedule your FREE in-home estimate today! by the experienced qualified professionals, you can depend on Bathroom Remodeling Creations to use all of our experience and expertise and give you the best bathroom tile and remodel. We Will Use The Best Materials, Standards And Quality, That Will Make The Enjoyment Of Your New Bathroom Last Many Years Too Come. 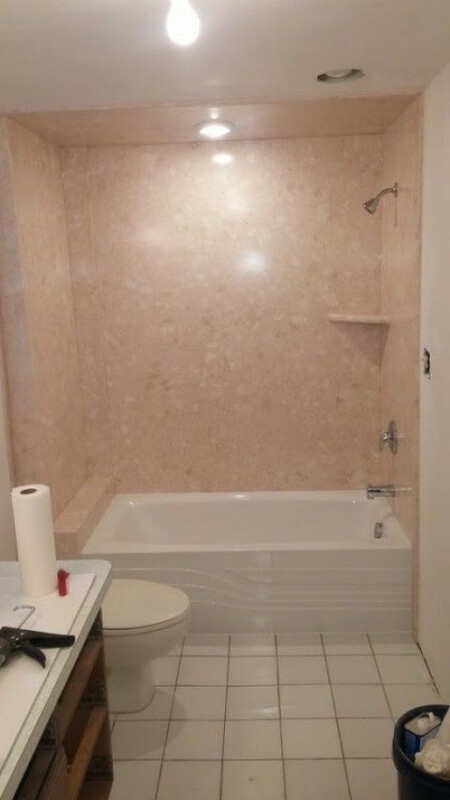 New Shower Pan | Handicap Bathroom | Tub to Shower Conversions | Remodeling | Carpentry | Painting and much more. You have the dream - I have the knowledge, skill and experience to make it come true. I can develop the ideas into reality, show you the options, council you on feasibility, construction cost and a myriad of issues that will make the experience a success at the end of the day. When your blue prints are complete I can work with partner building contractors and sub-contractors and secure competitive bids for your consideration. When your happy with the bids, I will submit the plans for building permit insuring all work is performed in full compliance with all building codes, help you through appraisals, and provide project accounting to project completion insuring you get what you wanted, agreed to and within your budget. Regardless of your project scope, if it is part of a home I can guide you to a wonderful outcome. Large or small projects from kitchen remodels, family room additions and remodels, extra bedrooms, outdoor living areas, outdoor kitchens, pool and patio, decks and landscaping, to major building additions are all within reach. Take the guesswork out of an overwhelming experience and enjoy the benefits of working with a licensed, experienced professional. DPR Remodeling Services offers an unique concept in the remodeling industry. Away from the traditional remodeling company, we offer a professional service of quality and cleanliness. With over 30 years of service in the North East Oklahoma are, we are able to tackle more unique projects.